I remember the first day I truly needed powder skiing skills. I was visiting Aspen (where I now work), and they were having one of the most epic seasons ever. The snow was so continuous that they had to close Temerity (our double black diamond side). They opened it for their level 3 instructors and above to ski, creating some skier compaction and adding to the stability. I remember standing at the top of Mushroom, which was covered in about three feet of snow, and watching this group of ripping skiers take off after their patroller with whoops and hollers of glee. I stood there, disappointed in myself, knowing what was about to happen. I could ski cut up crud, bumps and steeps, but I just had not had enough time in deep untracked snow to understand how to make the skis turn when it felt like there was no bottom. What was there to push against? Squatty Schuller, a former freestyle champion, Examiner and trainer extraordinaire (who had over two million vertical feet in deep powder by this time), looked at me and said, "Don't worry, I'll pick all your stuff up for you. Let's go." And that's what he did. He patiently taught me how to ski virgin snow on top of massive bumps on a double black run. By the end of the day, I was starting to understand. We dug for my ski more than once that day. That was a day of exhaustion and bliss, and I learned some valuable things... Skiing powder looked like it could be the most effortless, beautiful, blissful body and soul experience ever. I learned that by watching Squatty float effortlessly in front of me, and from the squeals of joy from more accomplished instructors as they laughed their way down steep, untracked, private powder in the resort, a once in a lifetime experience. I learned that falling and getting up in powder is hard, and there are techniques which make it MUCH easier. I learned that it helped EVERYTHING to have a patient, accomplished instructor and friend by my side to help me get through it, keep trying, keep reaching for the bliss. I learned that there is a technique to skiing powder, and once it clicks, life is gooooooood. And finally I learned that it doesn't hurt, generally, to fall down in powder. Patience and persistence along with good instruction turned what started as a stressful day where I didn't want to disappoint my friends into one of the days in my career that made me want to become a Squatty. He handed me bliss. I've never forgotten it, and I think of him every single time the helicopter takes me to untracked snow. To learn more about Kate’s coaching philosophy, check out this article in MisAdventures Magazine. Jennifer and I want to give this to you. Let us be your Squatty. Come, join us and learn how to bliss out in the pow. Fall down, get up, find stuff, get back on your feet and laugh while doing it. Learn how to bounce, to float, to turn, to stop to let speed be your friend. AND BONUS, you don't have to learn on a double black on moguls. We will take you to appropriate teaching terrain, and we will have your back....and you will have the time of your life! So, how do you go from novice "anchor" to competent pow skier? 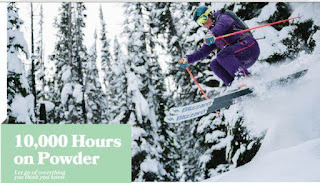 Come with us to Powder 101 taught by myself, PSIA-RM Examiner, Kate Howe, and 3 term PSIA National Alpine Team member Jennifer Simpson, and you can plan to have a bast while leaving your worries behind. WHERE: Big Red Cats, Rossland, BC is one of the biggest cat skiing operations on the planet with six cats, over 500 runs, eight mountains, and more than 20,000 acres! 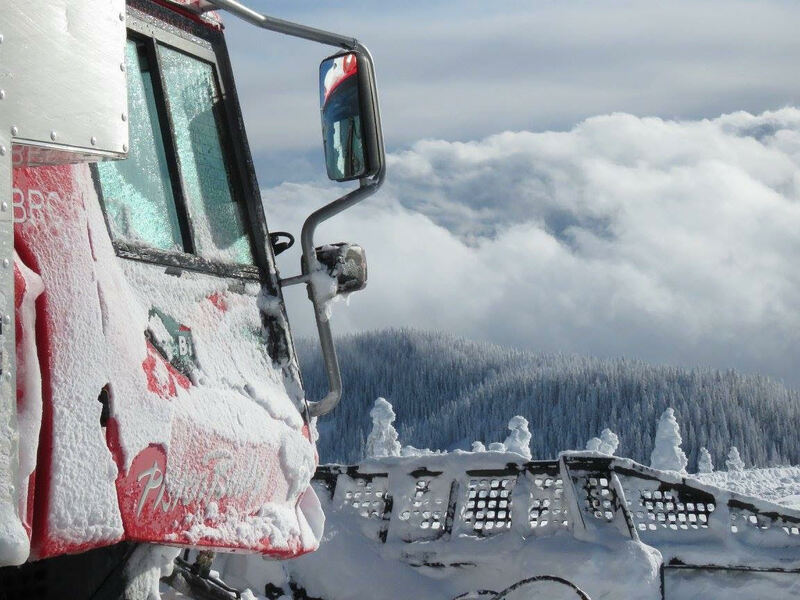 The Big Red team has been busy working on the runs and sculpting out new adventures for you. 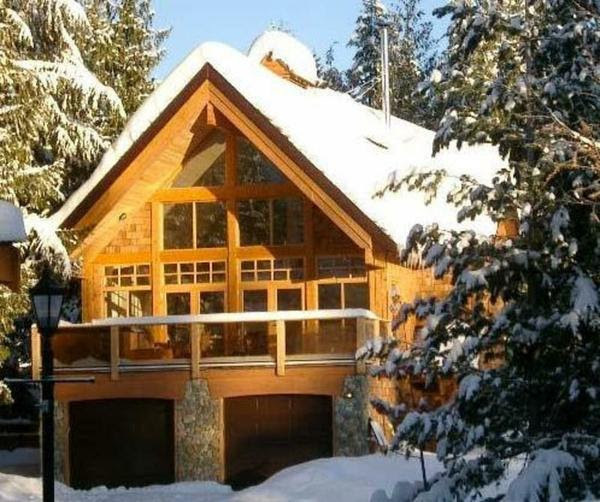 The 5 bedroom lodge is amazing and after a day of skiing POW you will be ready to get a massage, hit the hot tub, have a delicious dinner and do it all again the next day!